Facial Aesthetic treatments from Dr. Lauren at Orange Beach Family Dentistry work to reduce the appearance of lines and wrinkles for a younger, smoother look. Call to schedule a consultation today and see if these treatments are right for you! Orange Beach Family Dentistry is proud to offer facial aesthetic treatments to our patients on the Gulf Coast. We use certified products from the top suppliers such as BOTOX® Cosmetic and JUVÉDERM® dermal fillers in all of our procedures. Dr. Lauren’s advanced training and experience with oral and maxillofacial anatomy makes her the ideal practitioner to provide these safe and effective treatments. BOTOX® Cosmetic is a clinically approved treatment that is injected into the muscles of the face. The treatments decrease the appearance of frown lines between the brows and crow’s feet lines around the eyes by relaxing the muscles just under the skin. During your consultation, Dr. Lauren will discuss your needs, answer any questions and develop a specific treatment plan built just for you. BOTOX® Cosmetic has a proven track record for safe, reliable results when provided by a medical professional. When Will I See Results from my BOTOX® Cosmetic Treatment? Most patients see noticeable reduction in the appearance of frown lines and crow’s feet in the first day or two after treatment. During your consultation, we discuss your treatment goals and talk over your options and likely outcomes. The simple procedure typically lasts for 10 to 20 minutes, and does not require any special preparation or significant recovery time once you leave our office. 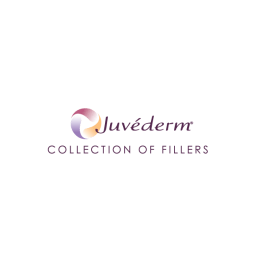 JUVÉDERM® products are injectable hyaluronic acid fillers used to add volume and smooth the appearance of your face. Known as dermal fillers, these products work to replace the naturally-occurring hyaluronic acid lost over time as we age. Higher levels of hyaluronic acid are correlated with soft skin that retains moisture and has a full, youthful appearance. Dr. Lauren uses different JUVÉDERM® products to give her patients fuller cheeks and lips, as well as reduce their parentheses and vertical lip lines. This highly-effective treatment is performed right here in our office here at Orange Beach Family Dentistry. When Will I See Results from my JUVÉDERM® Treatment? Immediately! JUVÉDERM® treatments, when injected into specific areas of the face, provide a full and soft appearance. Best of all, these subtle and natural-looking results last on average from one to two years. Call and Schedule a Consultation for Facial Aesthetic Treatments Today! Dr. Lauren is committed to providing safe and proven facial aesthetic treatments that leave you looking and feeling younger without surgery or major recovery time. Call Orange Beach Family Dentistry for your consultation today and see how we can help you! and/or procerus muscle activity in adult patients. Lateral Canthal Lines BOTOX® Cosmetic is indicated for the temporary improvement in the appearance of moderate to severe lateral canthal lines associated with orbicularis oculi activity in adult patients. of the components in the formulation. with any other specific assay method. Units (for lateral canthal lines), 44 Units (for simultaneous treatment of lateral canthal lines and glabellar lines) have been reported. information to identify factors associated with an increased risk for adverse reactions associated with the unapproved uses of BOTOX®. The safety and effectiveness of BOTOX® for unapproved uses have not been established. reactions occur, further injection of BOTOX® Cosmetic should be discontinued and appropriate medical therapy immediately instituted. One fatal case of anaphylaxis has been reported in which lidocaine was used as the diluent and, consequently, the causal agent cannot be reliably determined. outcomes. Some of these patients had risk factors including pre-existing cardiovascular disease. Use caution when administering to patients with pre-existing cardiovascular disease. ptosis, dysphonia, dysarthria, severe dysphagia, and respiratory compromise from onabotulinumtoxinA (see Warnings and Precautions). susceptible to these complications. In most cases, this is a consequence of weakening of muscles in the area of injection that are involved in breathing or oropharyngeal muscles that control swallowing or breathing (see Boxed Warning). Co-administration of BOTOX® Cosmetic and aminoglycosides or other agents interfering with neuromuscular transmission (eg, curare-like compounds) should only be performed with caution as the effect of the toxin may be potentiated. Use of anticholinergic drugs after administration of BOTOX® Cosmetic may potentiate systemic anticholinergic effects. The effect of administering different botulinum neurotoxin products at the same time or within several months of each other is unknown. Excessive neuromuscular weakness may be exacerbated by administration of another botulinum toxin prior to the resolution of the effects of a previously administered botulinum toxin. Excessive weakness may also be exaggerated by administration of a muscle relaxant before or after administration of BOTOX® Cosmetic. Do not inject into blood vessels. Introduction of these products into the vasculature may lead to embolization, occlusion of the vessels, ischemia, or infarction. Take extra care when injecting soft-tissue fillers; for example, inject the product slowly and apply the least amount of pressure necessary. Rare, but serious, adverse events associated with the intravascular injection of soft-tissue fillers in the face have been reported and include temporary or permanent vision impairment, blindness, cerebral ischemia or cerebral hemorrhage leading to stroke, skin necrosis, and damage to underlying facial structures. Immediately stop the injection if a patient exhibits any of the following symptoms: changes in vision, signs of a stroke, blanching of the skin, unusual pain during or shortly after the procedure. Patients should receive prompt medical attention and, possibly, evaluation by an appropriate healthcare professional specialist should an intravascular injection occur. In order to minimize the risk of potential complications, these products should only be used by healthcare professionals who have appropriate training, experience, and knowledge of facial anatomy. Healthcare professionals are encouraged to discuss the potential risks of soft-tissue injections with their patients prior to treatment and ensure that patients are aware of signs and symptoms of potential complications. The safety and effectiveness for the treatment of anatomic regions other than the mid-face with JUVÉDERM VOLUMA® XC; facial wrinkles and folds with JUVÉDERM® Ultra XC, JUVÉDERM® Ultra Plus XC, and JUVÉDERM VOLLURE™ XC; and the lips and perioral area with JUVÉDERM® Ultra XC and JUVÉDERM VOLBELLA® XC have not been established in controlled clinical studies. As with all transcutaneous procedures, dermal filler implantation carries a risk of infection. Follow standard precautions associated with injectable materials. The safety for use during pregnancy, in breastfeeding females, and in patients with known susceptibility to keloid formation, hypertrophic scarring, and pigmentation disorders has not been studied. The safety for use of JUVÉDERM VOLUMA® XC in patients under 35 or over 65 years, JUVÉDERM® Ultra XC and JUVÉDERM® Ultra Plus XC in patients under 18 years, and JUVÉDERM VOLLURE™ XC and JUVÉDERM VOLBELLA® XC in patients under 22 years has not been established. Use with caution in patients on immunosuppressive therapy. Patients who are using products that can prolong bleeding (such as aspirin, nonsteroidal anti-inflammatory drugs, and warfarin) may experience increased bruising or bleeding at treatment sites. If laser treatment, chemical peel, or any other procedure based on active dermal response is considered after treatment, or if the product is administered before the skin has healed completely, there is a possible risk of an inflammatory reaction at the treatment site. Patients who experience skin injury near the site of implantation may be at a higher risk for adverse events. The safety of JUVÉDERM VOLUMA® XC injectable gel for use in patients with very thin skin in the mid-face has not been established. Patients may experience late onset nodules with use of dermal fillers, including JUVÉDERM VOLUMA® XC. Patients may experience late onset adverse events with use of dermal fillers.